The SISIS Autoslit is a powered deep slitter for use on fine or outfield turf providing deep, clean penetration with minimal surface marking. 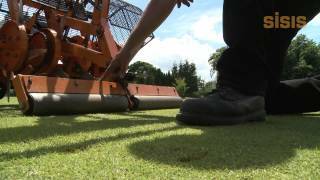 It is an ideal tool for maintenance of bowling greens. 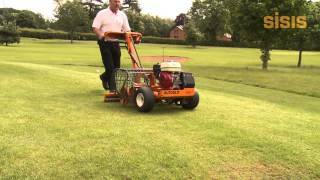 The SISIS Autoslit is a pedestrian deep slitter for use on fine or outfield turf, including golf courses, with deep, clean penetration with minimal surface marking.